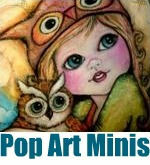 Pop Art Minis: Paint Party Friday... Sketching In Shades Of Grey! Paint Party Friday... Sketching In Shades Of Grey! Sketching in shades of grey seems to have captured my attention the last couple of days. 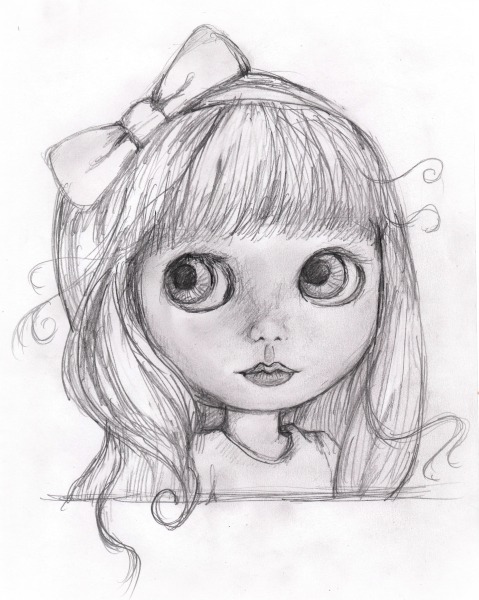 With creative time being squeezed out by the holidays, long work hours and family time I've enjoyed still being able to work in some sketch time inspired by one of my fave subjects the big eye Blythe doll...captivating eyes and a tiny pouty mouth! I'm still thinking about whether to add color, but for now I'm liking the way they look in shades of grey! 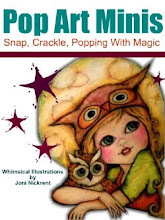 Pop by and join in the fun! OH, those are *fantastic,* I absolutely love them!! I love the grey shades...Very retro...reminds me of days gone by! They look beautiful in shades of grey! oh my goodness, those eyes are precious! wow, I am floored! Both are fantastic and adorable! I don't know which one I like best! They are beautiful even if you don't color them!! Happy weekend!! BLYTHE is beautiful. Love the grey. Do color studies too but the greys are fabulous. Adorable even in just shades of gray. :) Such a cute face! 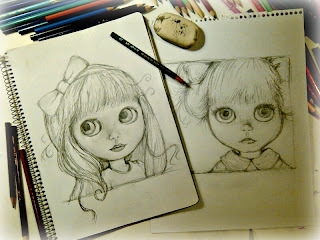 Blythe dolls, what a perfect subject for you. 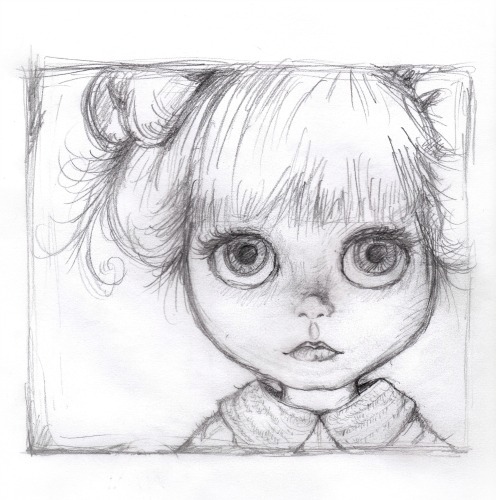 They are great sketches...but will you be able to resist adding color? Just thinking about those vivid violet or blue eyes on the Blythe dolls would have me reaching for a paint brush. Both of your sketches are awesome!!! I mean very good. I just joined in on PPF. Your sketches look wonderful! I always love seeing what you're up to. Love your style, those sweet little girls! All your little girls are just adorable as are these two in pencil. Great job. Enjoy your holidays and Happy PPF! Awww these girls are super sweet!! :) LOVE their eyes. What lovely expressive eyes they have!! Ahhhhh these girls are so cute! I especially love the expression on the 2nd one. Happy Holidays! This is the last place I expected to see grayscale art, but I do love it!